In an 8-quart soup or pasta pot, heat the oil over medium heat until hot but not smoking. Add onion. Cook and stir until onion starts to soften, about 5 minutes. Add celery and green pepper. Cook and stir another 5 minutes, until all vegetables soften. 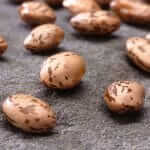 Add drained and rinsed beans to pot. Stir in tomatoes, cumin, and chili powder. Bring to a boil. Cover, reduce heat, and simmer 10-20 minutes to blend flavors. Serve immediately. Note: This chili is complemented nicely by a side of rice or cornbread. 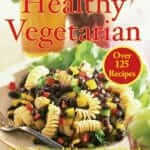 Reprinted with permission from Cooking Well: Healthy Vegetarian. ISBN: 978-1-57826-389-9 $12.50 (paperback). From Hatherleigh Press. Distributed by Random House. 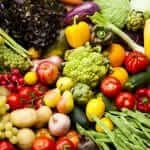 Nutrition, Recipes beans, healthy vegetarian, soup permalink.